Learn how to make 190 proof ethanol with less than $100 worth of parts. This book provides a wealth of information about the economics and efficiency of using corn to produce alcohol as a fuel. A sequel to Brown’s Alcohol Motor Fuel Cookbook. 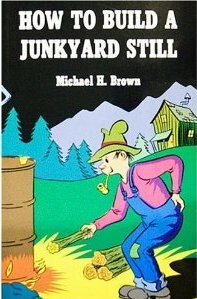 Get your copy of How to Build a Junkyard Still today for only $16.50.